Can be used for creative projects in the home. Dish mats, signs, notice boards, underlay, etc. Can also be used for architectural models, works of art, jewellery, etc. 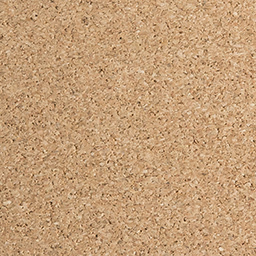 Cork has a burnt smell after laser cutting, which diminishes after approx. 14 days. Please be aware that the sheets have a tendency to bend as we receive it in rolls from our supplier. 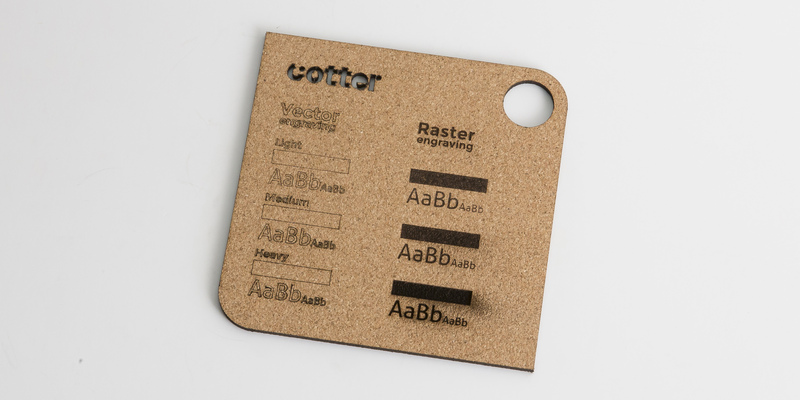 Both vector and raster engraving are possible on cork. This creates a black, dark surface. 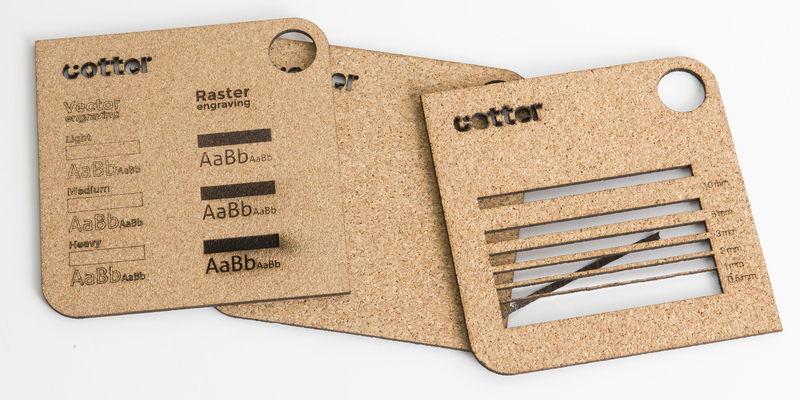 Raster engraving only in A1 sizes. At the time of your order, you can choose to add protective film to avoid the worst marks caused by smoke damage and the cutting process. However, applying a film is not possible when raster engraving. Top – A darkening of the material will appear along the score lines. At the time of your order, you can choose to add a protective film to avoid the worst burn marks. Please be careful when removing the film as the glue from here may lift the surface slightly. Edges – The edges look black and can rub off. 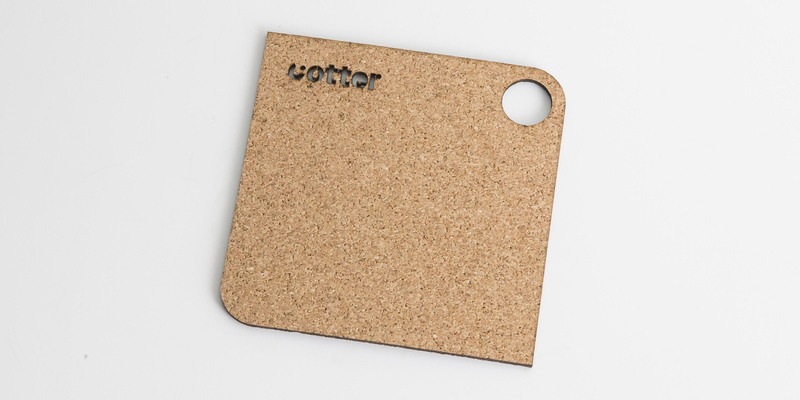 Bottom – As standard delivery, cork is cut with protective film on the back, which protects it against the worst laser cutting marks. 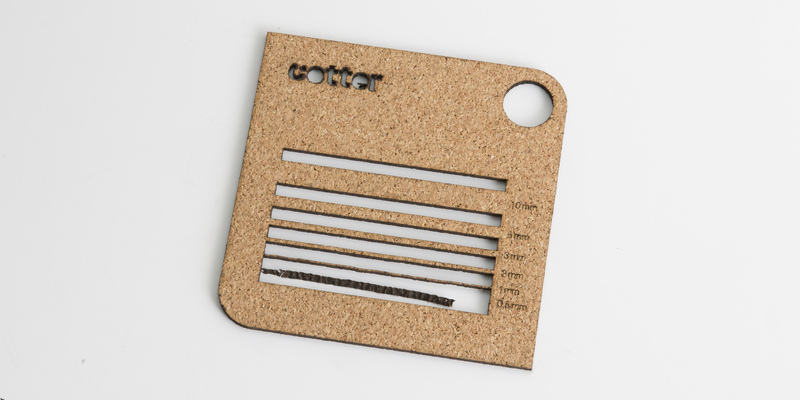 Double-sided adhesive can be added when you place your order. 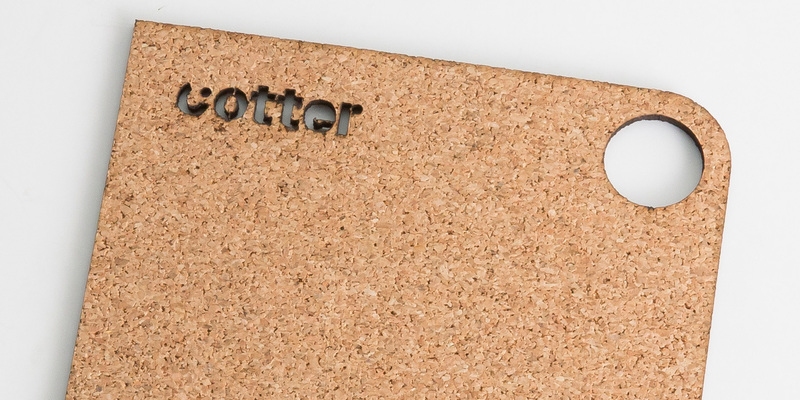 It is possible to paint and write on cork. Regular acrylic paint and most writing tools can be used.